Suicide is the biggest killer of young people – male and female – under 35 in the UK. Every year many thousands more attempt or contemplate suicide, harm themselves or suffer alone, afraid to speak openly about how they are feeling. Our vision is for a society which speaks openly about suicide and has the resources to help young people who may have suicidal thoughts. LEARNING: There are always lessons to be learned from listening to young people at risk of suicide, those who give them support and those who have lost a young person to suicide. PAPYRUS was founded in 1997 by a mother, Jean Kerr, from Lancashire following the loss of her son to suicide. PAPYRUS was initially set up as the Parents’ Association for the Prevention of Young Suicide, hence the name PAPYRUS. Since 1997, PAPYRUS has continued to listen to and learn from the experiences of those personally touched by young suicide. Today, PAPYRUS works in many ways to prevent young suicide. 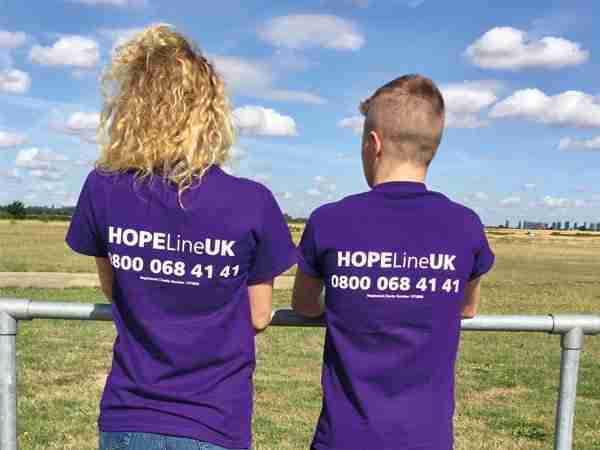 SUPPORT: We provide confidential support and advice to young people struggling with thoughts of suicide, and anyone worried about a young person through our helpline, HOPELINEUK. EQUIP: We engage communities and volunteers in suicide prevention projects and deliver training programmes to individuals and groups. This includes equipping local councils, healthcare professionals and school staff with suicide prevention skills. INFLUENCE: We aim to shape national social policy and make a significant contribution to the local and regional implementation of national suicide prevention strategies wherever we can. Our campaigning comes from our passion as individuals, parents, families and communities who have been touched personally by young suicide. We press for change in many places using hard-hitting and dynamic campaigns as well as presenting evidence to those in power so that lessons can be learned and learning implemented to help save young lives. For full details of our ongoing campaigns including information sharing, standard of proof and media reporting, visit our campaigns page. PAPYRUS has been a long standing member of the government advisory groups in England and Wales on suicide prevention matters. We are active members of the National Suicide Prevention Strategy Advisory Group in England and of the National Advisory Group on Suicide Prevention and Self-harm reduction in Wales. Other national bodies that we contribute to are the National Suicide Prevention Alliance and the National Police Suicide Prevention Strategy Advisory Group.